A personal health record or PHR is a written or digital record of your health care history and includes official records, laboratory results, DNA testing, billing and medical claims data. The health related information in the Personal Health Record, includes basic health information such as allergies, exercise habits, lifestyle, sexual history, medications, glucose levels, heart rate, and other medical data. Official governmental policies that involve sharing of personal medical data which includes personal health records should allow the patient to see the information, so that patient’s can use and control their most sensitive personal health records. The US Federal government under the Office of Health and Human Services is currently reviewing standards for the sharing of personal medical information. Section 3003(b)(3) of the American Recovery and Reinvestment Act of 2009 mandates that the Health IT Standards Committee develop and publish a schedule for the assessment of policy recommendations developed by the Health IT Policy Committee. This link will take you to a summary of key elements of the Privacy Rule including who is covered, what information is protected, and how protected health information can be used and disclosed. In 1996 Congress passed HIPAA, and instructed the Dept. 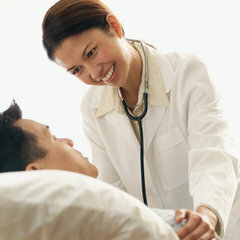 of Health and Human Services (HHS) to address the rights of patients to privacy. In 2001 President Bush implemented the original HIPAA “Privacy Rule” recognizing the “right of consent”. In 2002 During President Bush’s term there were amendments to the “Privacy Rule” became effective eliminating “right of consent”. The Privacy Rule protects the privacy of a patient’s health information; it determines who can look at and receive a patient’s health information, and also gives the patient specific rights over that information. In addition, the Patient Safety Act and Rule establish a voluntary reporting system to enhance the data available to assess and resolve patient safety and health care quality issues and provides confidentiality protections for patient safety concerns. 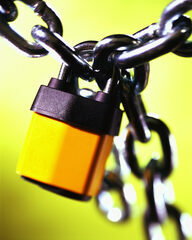 OCR also enforces the confidentiality provisions of the Patient Safety Act and Rule. These are principles important in a electronic health system (from PatientPrivacyRights.org). ACCOUNTABILITY – Hold every entity with access to health information accountable. CONTROL – Ensure individuals control the use of their personal health information. TRANSPARENCY – Protect consumers from abusive practices.